Short par 4 that doglegs from right to left. 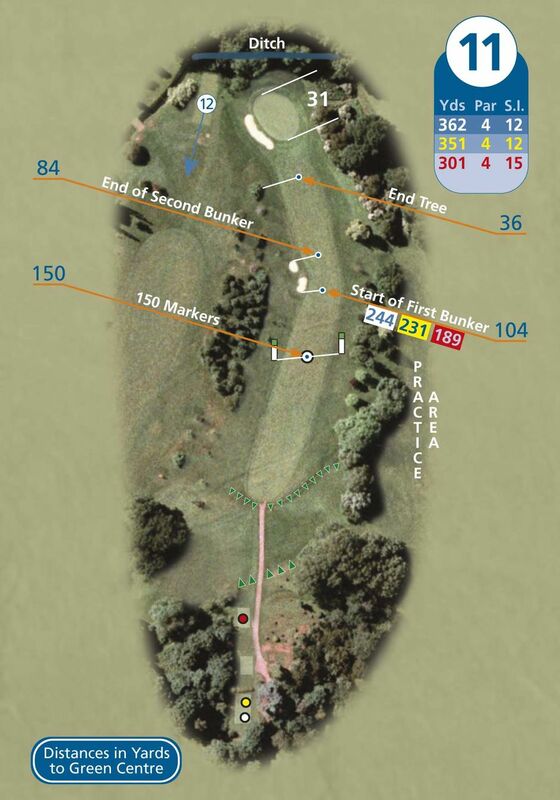 Players can choose to lay up short of the bunkers and leave a longer approach shot. The longer hitters may drive over the bunkers and leave only a short approach.